Remember when all the discussion in the media about the economic crisis revolved around “deficit reduction” while hardly a word was uttered about the extravagant gains of the super-rich in recent years? It seems like eons ago but it was just this past summer. Thanks to Occupy Wall Street a space has opened for honest discussion about class and economic inequality that hasn’t occurred in the United States for decades, which is why politicians like Michael Bloomberg are attempting to shut down Occupy encampments at Zuccotti Park and elsewhere. Meanwhile, the corporate media breathlessly asks “Is this the end of the Occupy movement?” as if they can’t wait to go back to covering stories they are more comfortable with — like bipartisan deficit reduction talks where the only question on the table is how deeply to gut programs that benefit the poor, working and middle classes. At The Indypendent we don’t believe the Occupy movement is over. We think this movement is just beginning. And we intend to cover it every step of the way and help it continue to grow and flourish. But, we need your help. We recently launched our annual fund drive. Our goal is $30,000. We are so grateful for the initial response from supporters who agree with us that a “Journalism for the 99%” is possible. The donation you give — be it $25, $50, $100, $200 or more — makes all the difference. 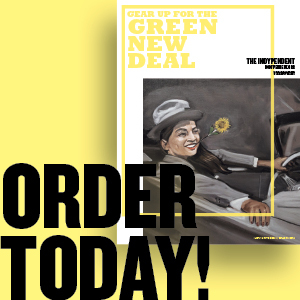 Unlike the corporate media, which is controlled by the 1%, we aren’t afraid to stand for social justice while practicing journalism that combines compelling reporting with incisive analysis of movements and the issues they fight for. Having this critical perspective makes a huge difference both in our online coverage which has expanded to include twice daily updates on the Occupy movement and other top stories of the day as well as our award-winning newspaper. That’s why we were far ahead of other publications in covering massive anti-Wall Street protests earlier this spring and the Bloombergville encampment that was the precursor to Occupy Wall Street. And it’s why so many readers have lauded our coverage of global events from the Arab Spring to the indignado movement in Spain to the student uprising in Chile, to the aftermath of Japan’s nuclear disaster and grassroots opposition to Mexico’s drug war. Another world is possible. Please donate generously so we can do our part to help make that happen. P.S. 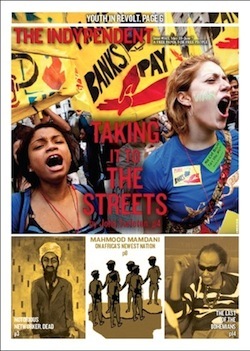 If you haven’t seen it already, check out our latest Occupy Wall Street special edition!